Hello! We are nearing the end of the A Blog Named Hero's Dear Santa holiday celebration. 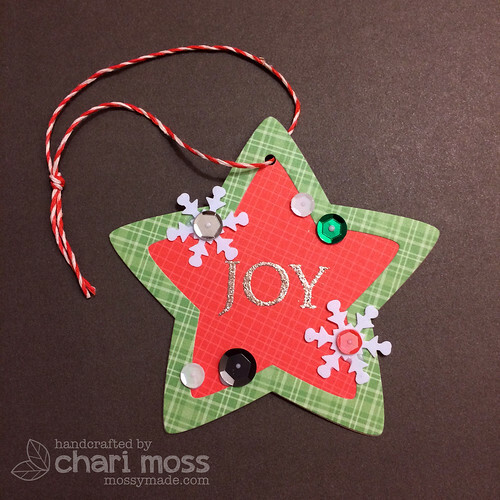 This week we are making Quickie projects, quick projects to brighten your holidays. I used some Lawn Fawn and Hero Arts products to create this quick tag. I cut the tag with the Puffy Star Stackables Lawn Cuts. The sentiment is from the Holiday Sayings set from Hero Arts, I head embossed it with platinum sparkle embossing powder. I then decorated with sequins and finished of with some peppermint lawn trimmings. You always make the best tags. So festive. Great idea! I love those puffy stars.